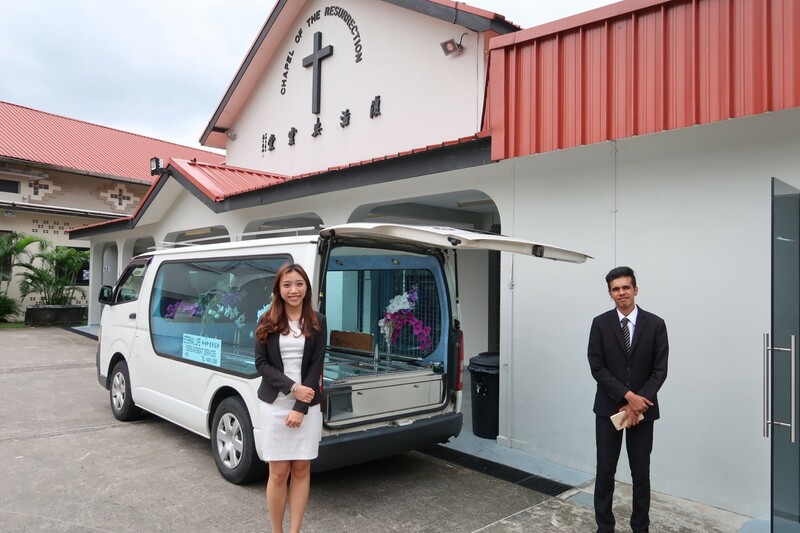 Harmony Tee is the third generation of the Tee family who is extremely zealous in her efforts to bring her Grandfather’s company, Hock Hin Undertaker to greater heights while serving the community. Harmony Tee is currently managing Harmony Funeral Care. Harmony Tee previously worked at Ernst and Young LLP as an auditor after graduating from the National University of Singapore with a Bachelor of Business Administration (Accountancy) with Honors. Exposed to deaths at a young age due to the very nature of her family business, she has always pondered upon the shortness of life and wanted to do something more meaningful during her temporal stay here on Earth. A Funeral Director is an occupation that requires 100% commitment due to the very fact that family members rely on funeral directors during this period of grief and vulnerability. Harmony Tee felt that she needed to be sure this is her calling in life before taking on such a huge responsibility. After bouts of praying and receiving certain affirmations, Harmony Tee courageously took the leap of faith to enter the funeral industry, an industry that varies vastly from the previous industry she was in. Harmony Tee has never looked back ever since. In fact, she loves her job and sees it as an opportunity to minister to others during their times of need. As with every occupation however, the start was not easy, especially in an industry that is plagued with social stigma and that is dominated by males. With her mettle and humble attitude though, she has managed to win the hearts of many. With the belief of putting God first in everything she does and of trying to rely on God for strength and guidance in the small and big issues of life, she has managed to overcome the challenges that came along the way. Funerals are once in a lifetime events that need to be handled precariously. Harmony Tee understands this and aims to provide a memorable and unique final send-off for all her clients. She hopes that she is able to be a source of comfort and help for the family members during this period of grief. Most Singaporeans are still relatively unaware of what to do when it comes to advanced care planning and some are even adverse to such a concept. However, Harmony Tee sees it as paramount to plan in advance what we want for our own funerals as only we know our own preferences best and doing so helps lessen the load off our loved ones as we depart from this world. It is Harmony Tee’s hope that in time to come, the level of awareness among Singaporeans of the death industry will be heightened.